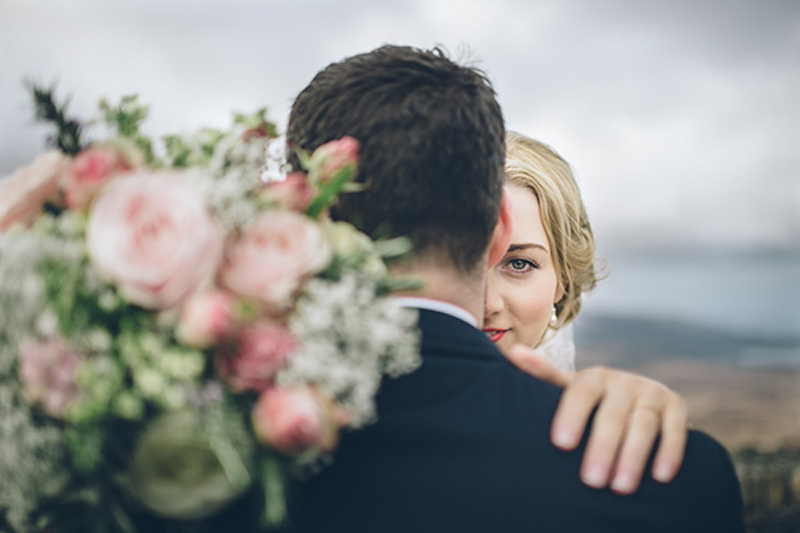 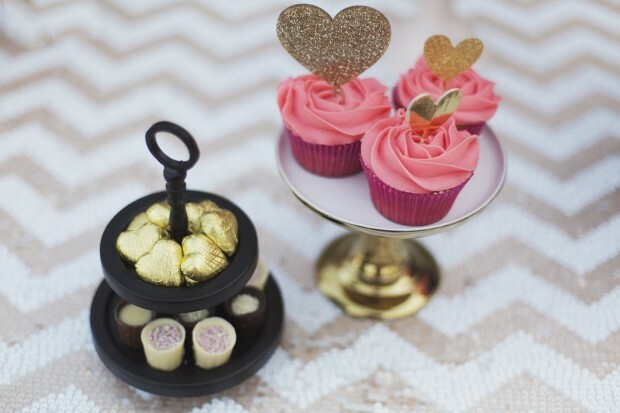 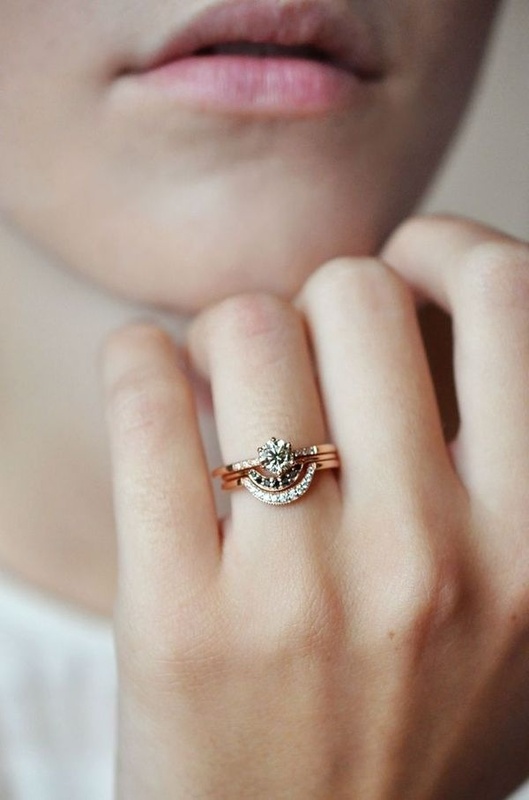 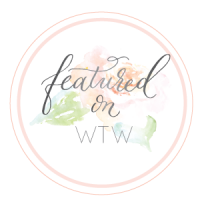 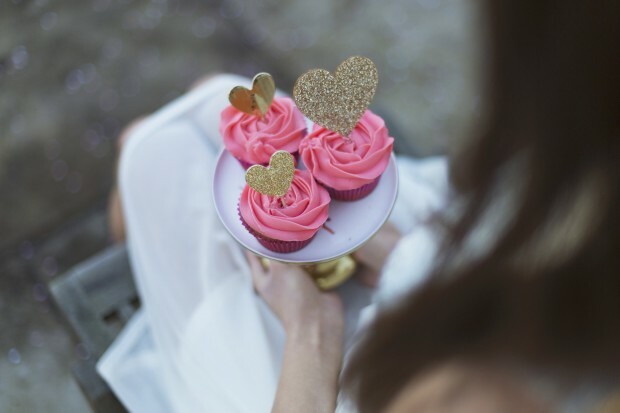 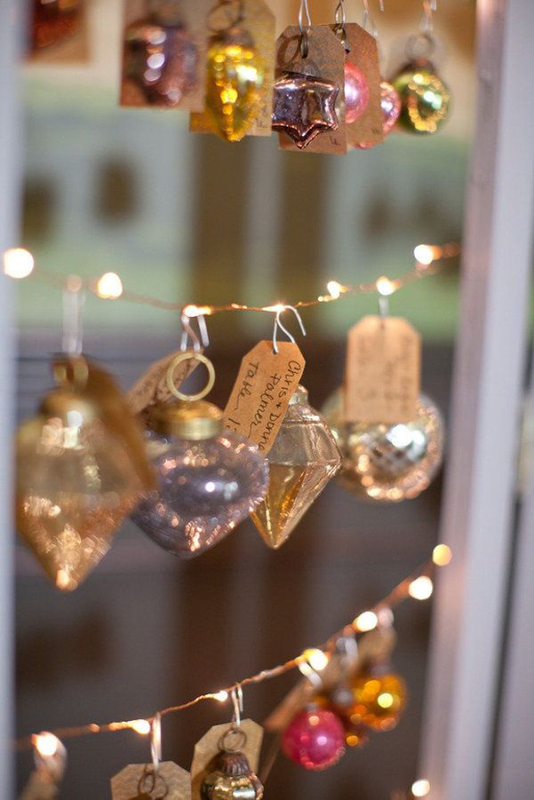 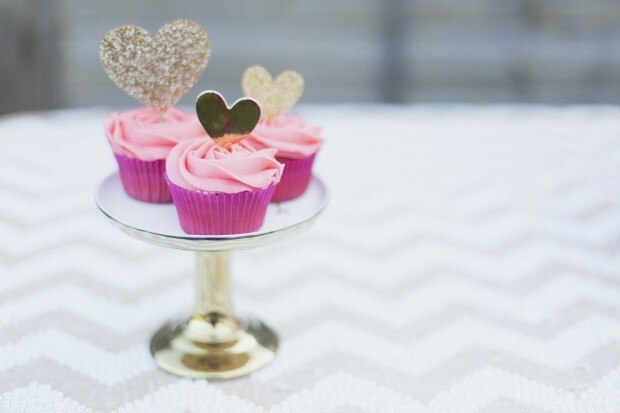 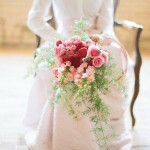 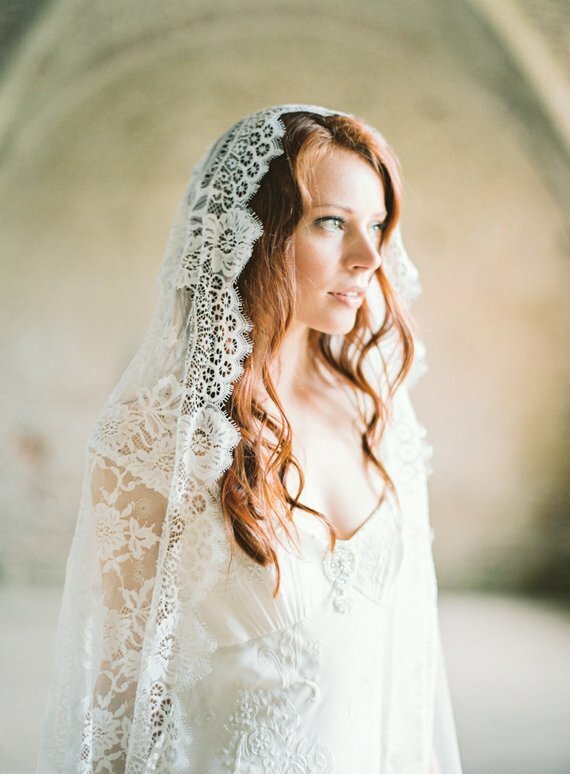 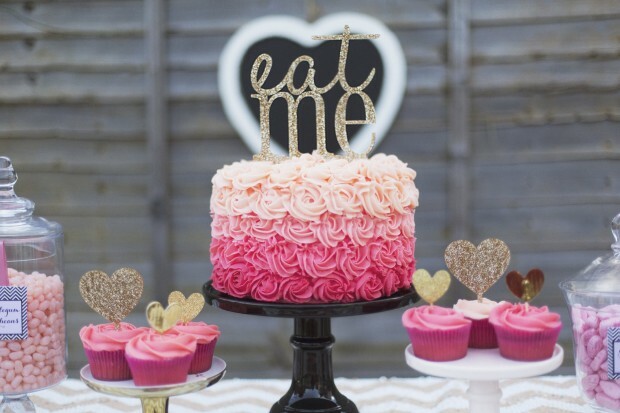 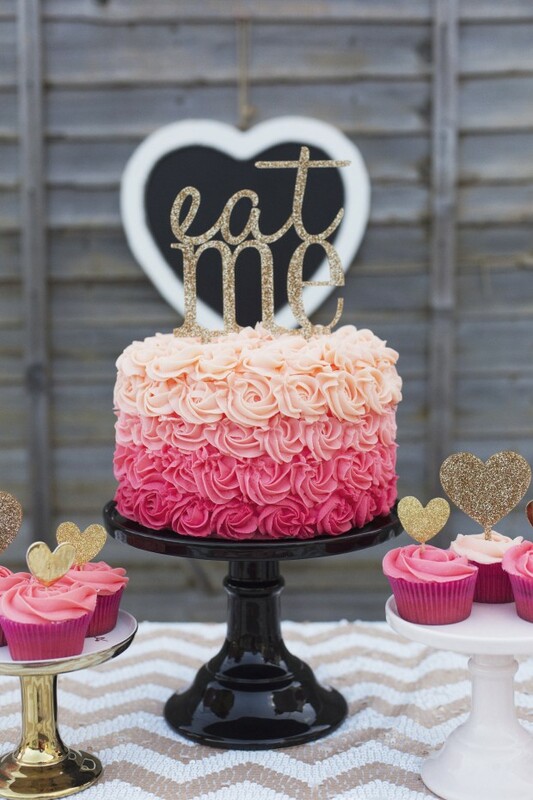 Home > Inspiration > All > Pink + Gold Valentine’s Day Celebration Inspiration: It Must Be Love! 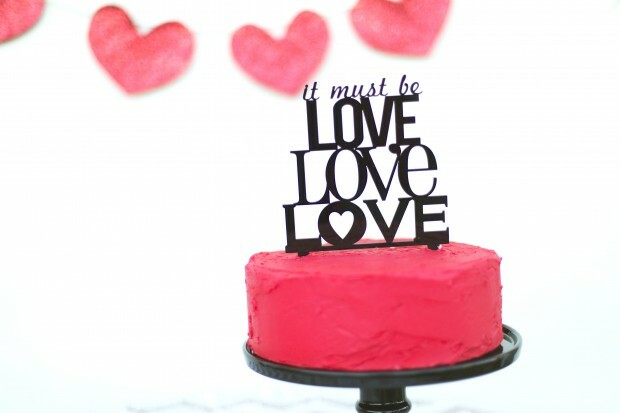 “Valentine’s Day is not only a time for love, it is a time for celebration! 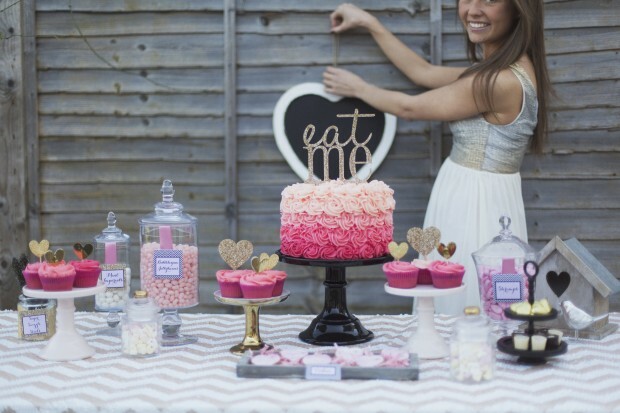 We decided to create a sweet table that could be used for an engagement celebration, bridal shower, valentine’s party or any other love themed celebration. 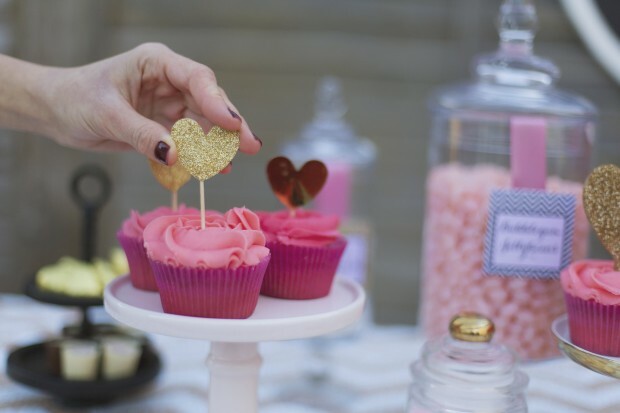 We love working with traditional red but decided to use a more playful colour palette and added elements of gold, black and pink. 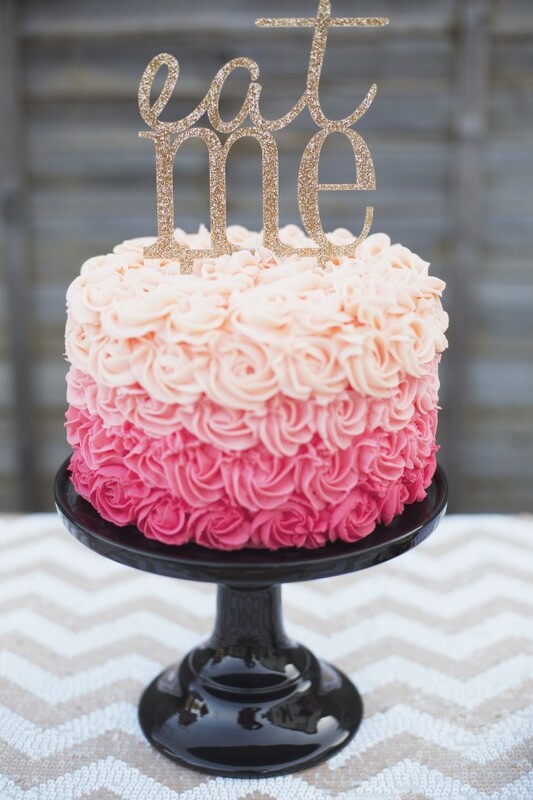 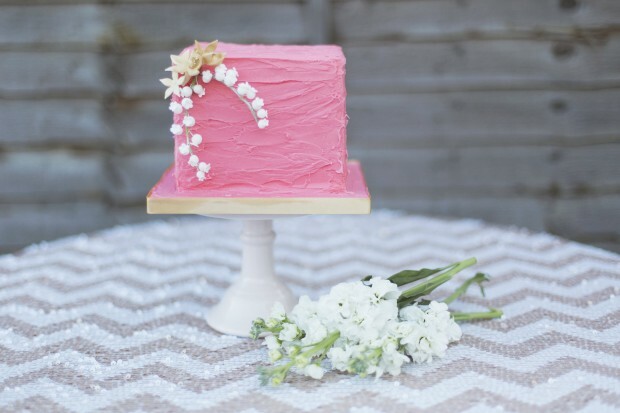 Our amazing ombre rosette cake with acrylic gold glitter cake topper became our table showstopper! 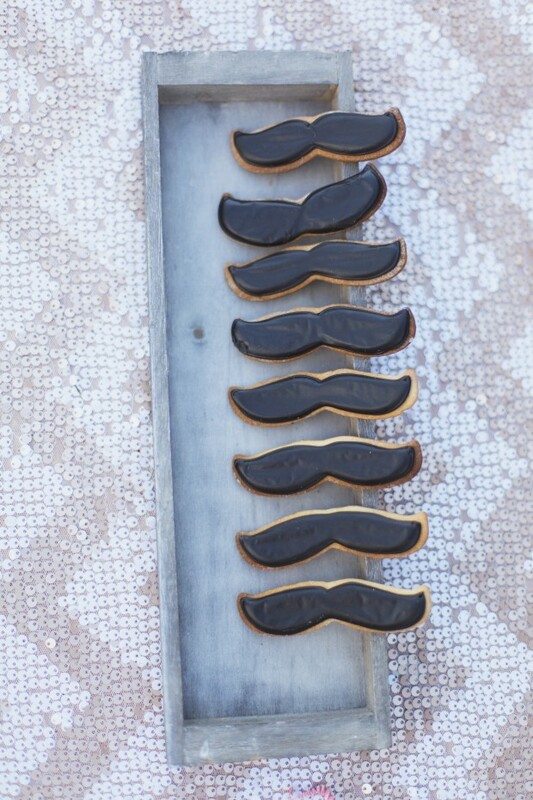 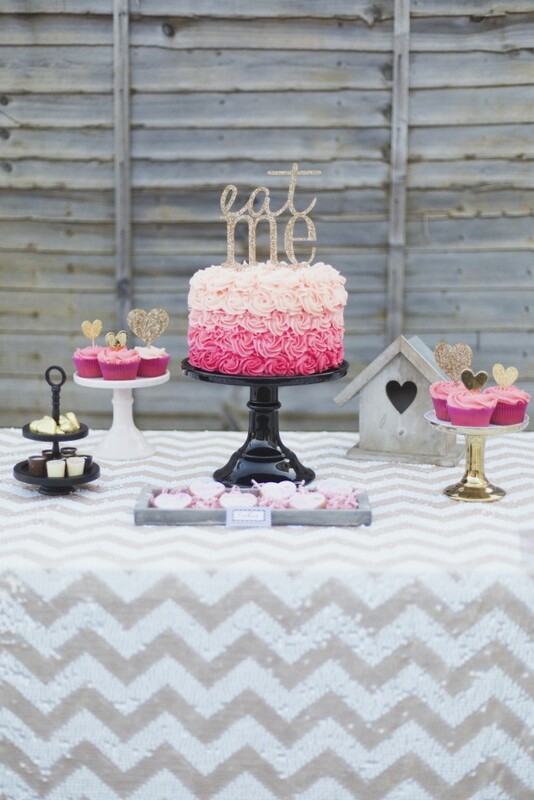 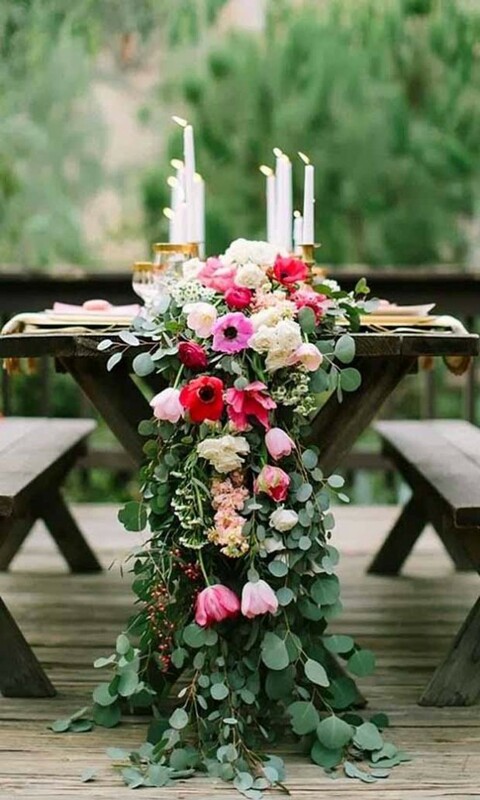 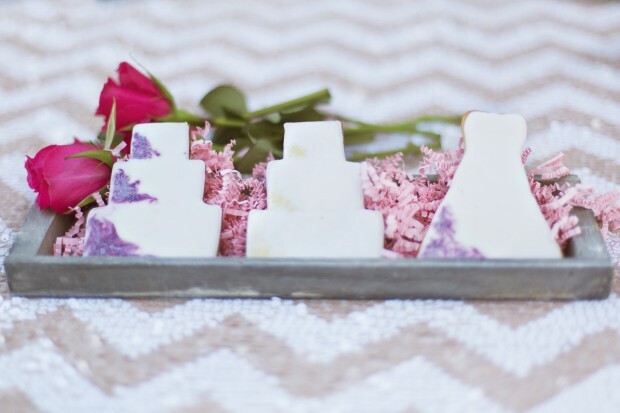 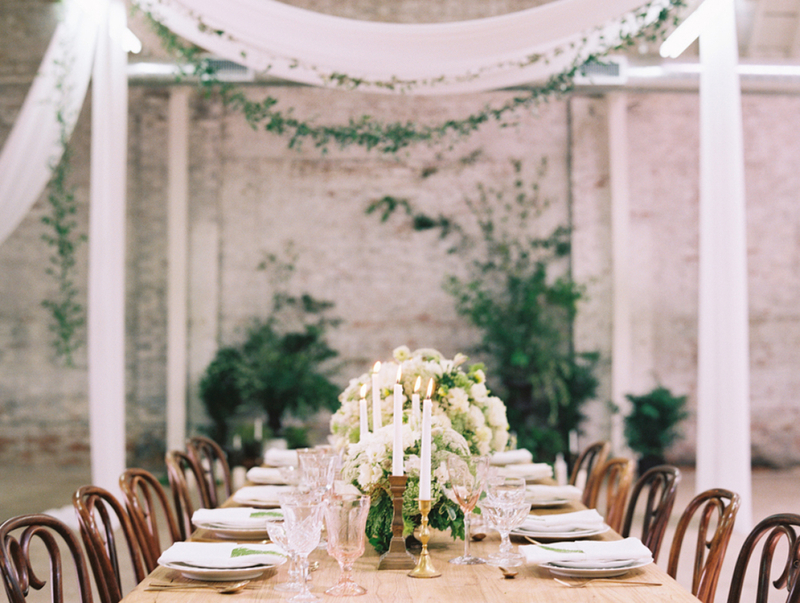 Although we love glamorous sweet tables we wanted to create a rustic edge to give our celebration a little twist. 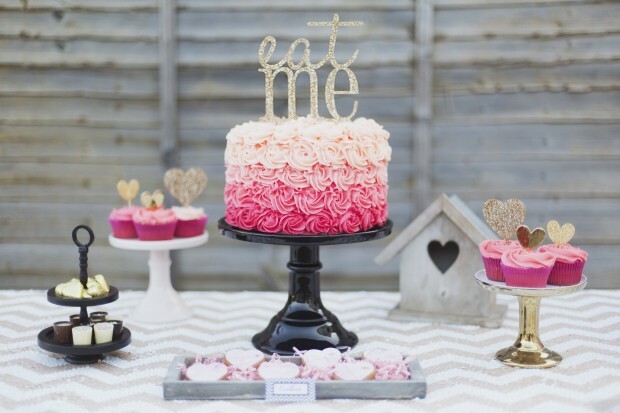 As well as the background we used some wooden props and trays to add texture and depth. 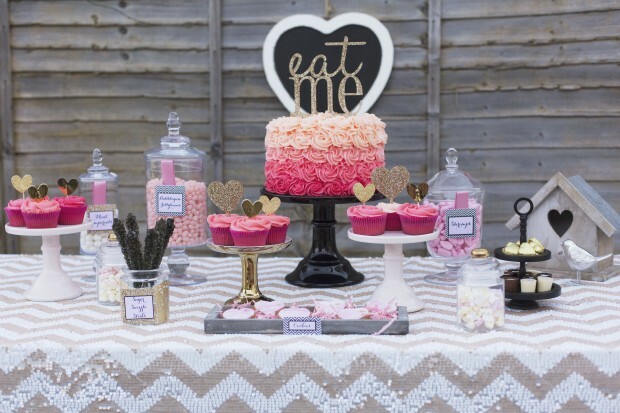 For the sweet table we wanted to keep it fun so added lots of sweet treats and candy that would appeal to guests. 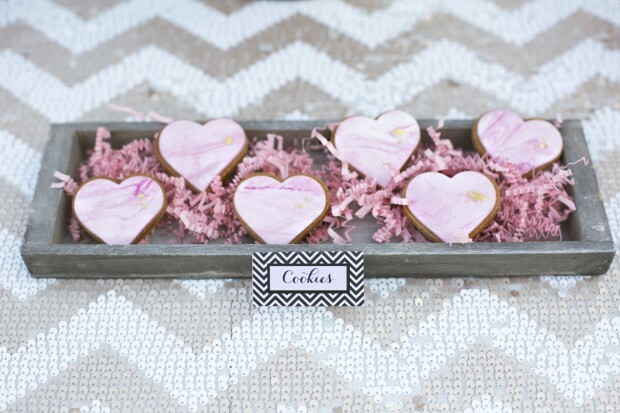 The stunning heart shaped cookies with a marbled pink icing and edible gold leaf added a touch of elegance to the table. 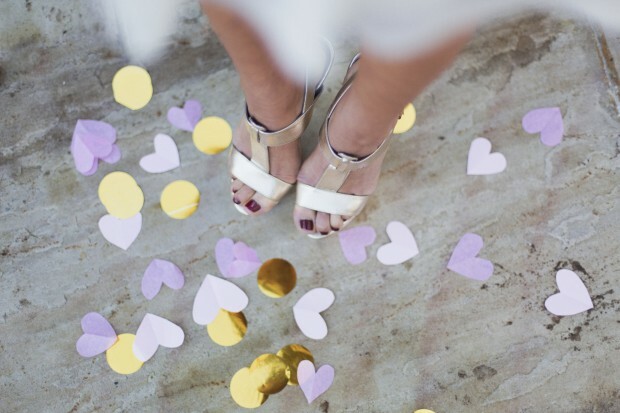 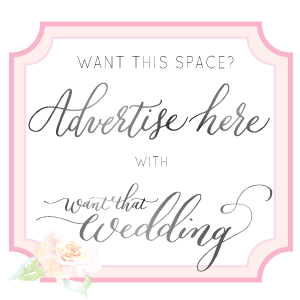 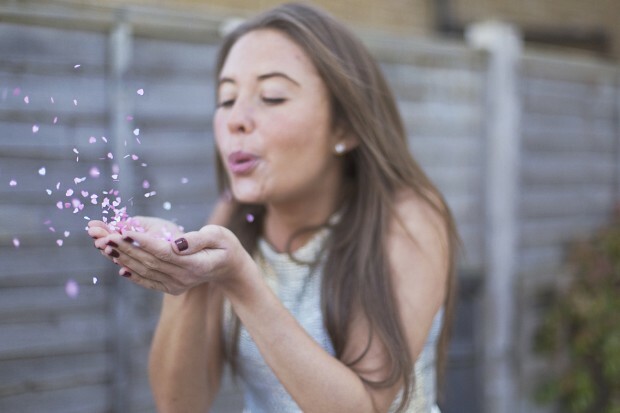 We had to add a flourish of confetti, I mean no celebration is complete without it, right?! 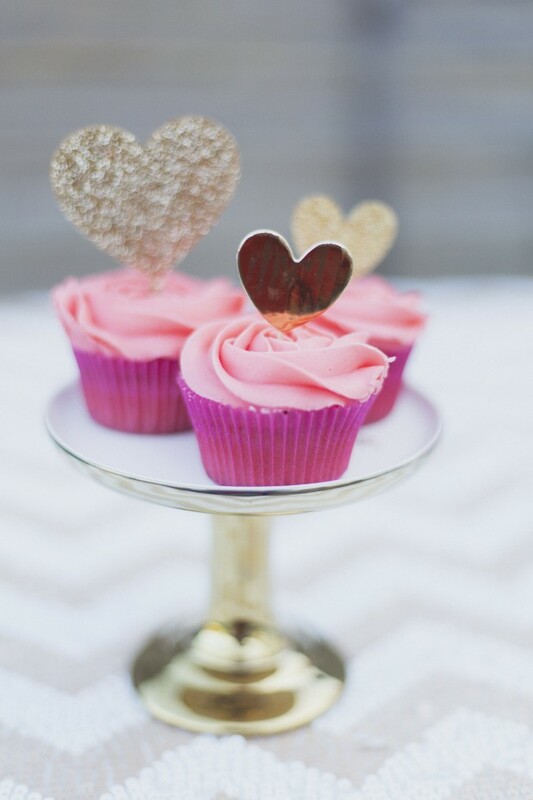 We created a contrast by using large metallic gold confetti along with the softer heart shaped pink tissue confetti. 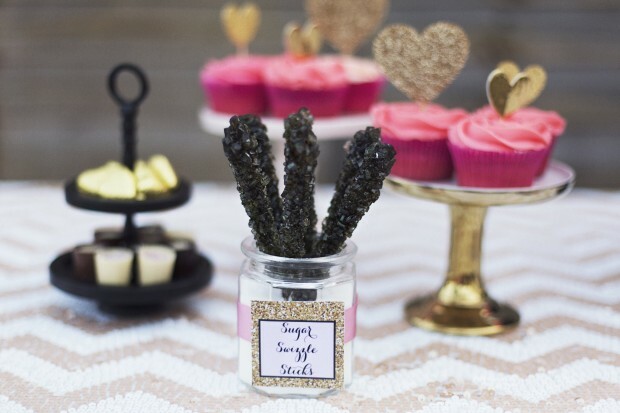 The table was adorned with a champagne blush and white chevron sequin tablecloth which worked perfectly with the fun twist on a traditional valentine’s day sweet table”. 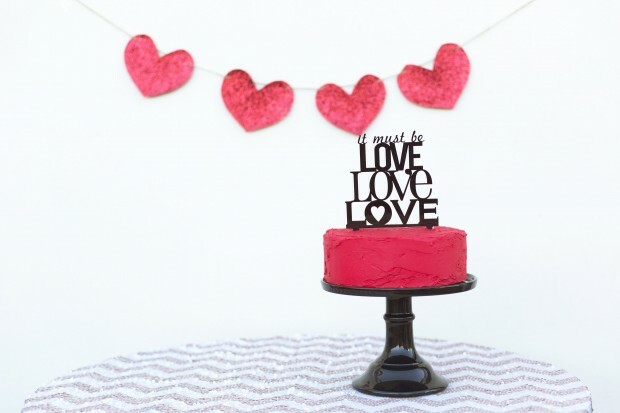 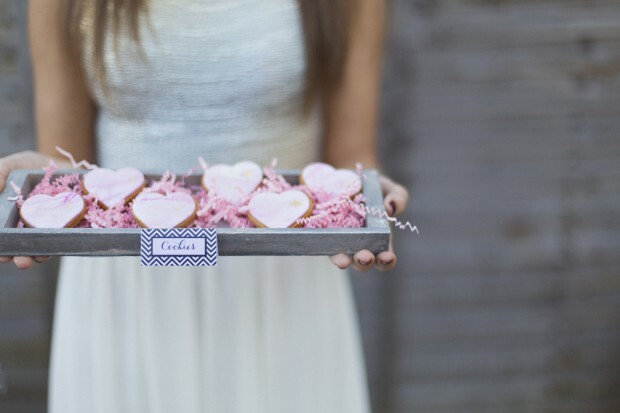 Lots of Valentine’s love to you and all the talented peeps who created this sweet celebration shoot!